By Patrick J. Samway, S.J. When Robert Lowell first introduced Flannery O’Connor to Robert Giroux in March 1949, even she could not have imagined the impact of that meeting on her life, and on the landscape of postwar American literature. Giroux acquired her first novel, Wise Blood (1952), for Harcourt, Brace; and after his move to the firm now known as Farrar, Straus & Giroux, he remained her friend and publisher for the rest of her all-too-brief life (she died just shy of forty, in 1964), with A Good Man Is Hard to Find and Other Stories (1955) and The Violent Bear It Away (1960), and with major posthumous publications including The Complete Stories of Flannery O’Connor (1961), Everything that Rises Must Converge (1965), Mystery and Manners: Occasional Prose (1969), and The Habit of Being: Letters of Flannery O”Connor (ed. Sally Fitzgerald, 1979). The written correspondence between O’Connor and Giroux stands as a testament of their mutual devotion, friendship, and admiration; and Flannery O’Connor and Robert Giroux: A Publishing Partnership sheds new light on a dimension of Flannery O’Connor’s life—her relationship with her editors—that has not been well documented or narrated by critics and biographers. Impressively researched and rich in biographical details, this book chronicles Giroux’s and O’Connor’s personal and professional relationship, not omitting their circle of friends and fellow writers, including Robert Lowell, Caroline Gordon, Sally and Robert Fitzgerald, Allen Tate, Thomas Merton, and Robert Penn Warren. As Patrick Samway explains, Giroux guided O’Connor along her path to international acclaim as writer of fiction and nonfiction, especially during the years when she suffered from lupus at her home in Milledgeville, Georgia, a disease that eventually proved fatal. Excerpts from their correspondence, some of which are published here for the first time, reveal how Giroux maintained his supportive presence as editor through his letters to Milledgeville. They are gracious, discerning, and appreciative, just when they needed to be. In Father Samway’s portrait of O’Connor as an extraordinarily dedicated writer and businesswoman, she emerges as savvy, pragmatic, focused, and determined. This engrossing account will interest O’Connor’s many devoted readers as well as students of the history of American literary publishing. 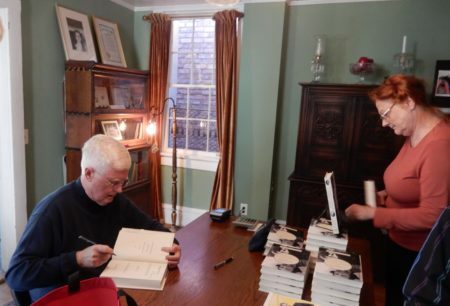 Patrick Samway at Andalusia, former home of Flannery O’Connor, in Milledgeville, GA.
Patrick Samway, S.J., a former literary editor of America, the nation’s premier Catholic weekly, is an emeritus professor of English at St. Joseph’s University in Philadelphia. 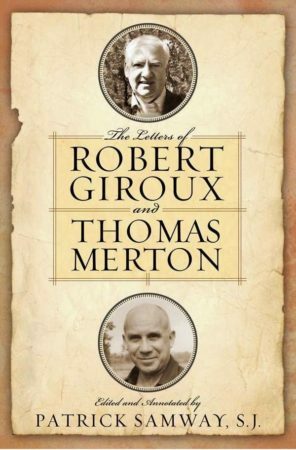 He is the editor of The Letters of Robert Giroux and Thomas Merton (University of Notre Dame Press, 2015) and a forthcoming edition of Giroux’s correspondence with John Berryman. He is the author of Walker Percy: A Life (Farrar, Straus & Giroux, 1997), a New York Times Notable Book; and editor of Percy’s Signposts in a Strange Land: Essays (Farrar, Straus & Giroux, 1991) and A Thief of Peirce: The Letters of Kenneth Laine Ketner and Walker Percy (University Press of Mississippi, 1995). He is the editor, with Ben Forkner, of the noted two-volume anthology Stories of the Old South (1989; rev. ed. Penguin, 1995) and Stories of the Modern South (1977; rev. ed. Penguin, 1986). 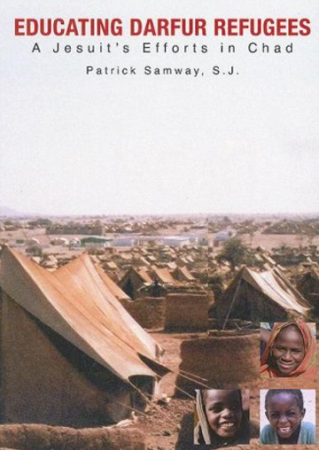 He is the author of Educating Darfur Refugees: A Jesuit’s Efforts in Chad (University of Scranton Press, 2007). Among his recent honors is the Newbridge Silver Award presented by the Gerard Manley Hopkins Society at their 30th annual Festival in Newbridge, Ireland, on July 23, 2017.